Who Says Dire Wolves are Extinct? Impossible! They Just Won the 2018 Quiz Bowl! 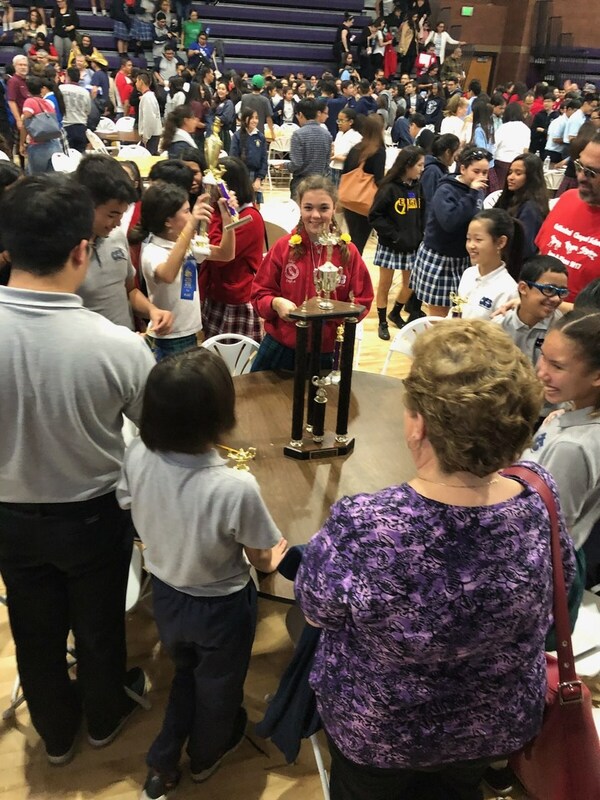 Chapel's Dire Wolves defeated 23 L.A. Catholic Schools at the 2018 Quiz Bowl on Saturday, February 3rd. Last year's Chapel decathletes brought home gold in all three jewels of the decathlon Triple Crown, so that team was a hard act to follow. With only one returning member, only two eighth-graders, the largest Quiz Bowl ever, and the most difficult study guide in the history of the competition, Chapel took first in both team events: Logic and Super Quiz. 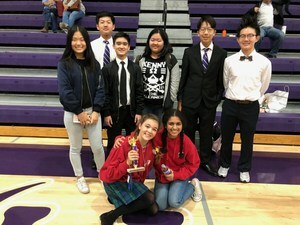 The team earned honors in seven of the eight individual events. 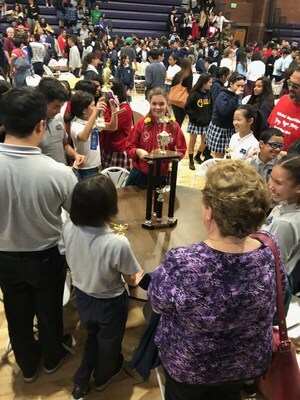 When all the scores were added up, Chapel was awarded the championship trophy. 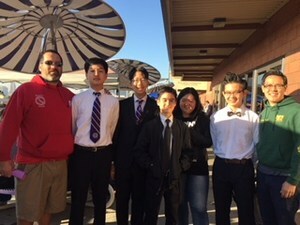 It was an impressive win because our ten did it with hard work, honor, team work. and style. The team took inspiration from five members of last year's team and other grads who came to cheer the decathletes on. 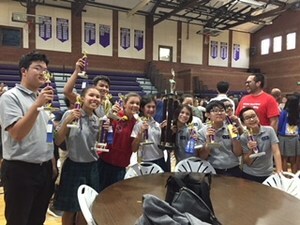 This was the 16th Annual Cathedral High Quiz Bowl. It is the 12th time Chapel has brought home the Gold.